The blissful natural setting of this hillside holiday home is the leading ingredient in its authentic recipe for rest and relaxation. 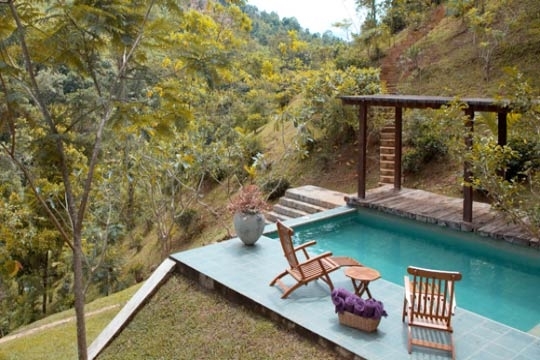 Generously blended with comfortable rooms, home-cooked meals, a mountainside plunge pool and six-acres of nature-filled garden to explore, the eco-friendly Weir House is a beautiful retreat from the world. 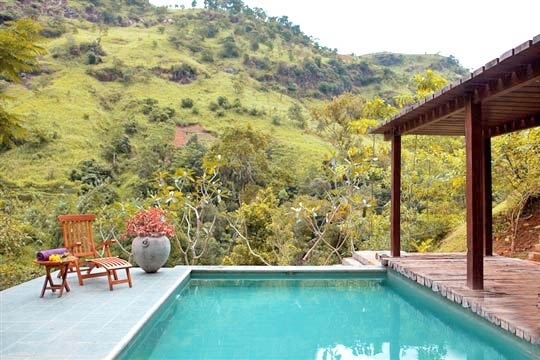 Although The Weir House is located only a kilometre off the main Peradeniya to Hatton road, its undisturbed location within a sleepy verdant valley makes it feel a million miles from anywhere. Extensive six-acre gardens filled with fruit trees, shrubs and spices hug the hillside and subtly hide the house from view. 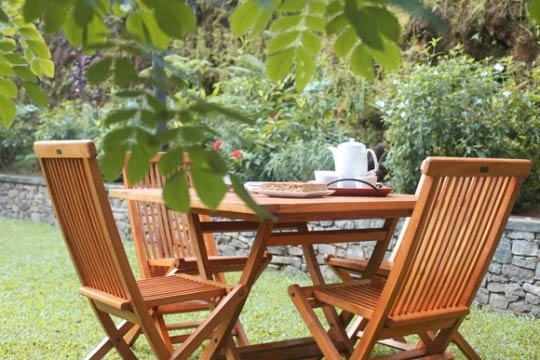 Comfortable garden chairs on the lawns and terraces offer the perfect place to hang out; the melody of bird call filling the fresh mountain air accompanied by the gentle gurgle of the stream in the lush valley below are wonderfully therapeutic. As you take a dip in the hillside plunge pool, views of the dramatically steep mountain opposite put everything into perspective, making you feel quite tiny and insignificant in comparison. Here and there labels identify certain tree or plant species in the steeply terraced garden, while herb and vegetable plots line the red earth track that leads eventually to tea, coffee and pepper groves. At the top of the land wild deer can often be seen grazing in the neighbouring woodland whilst the view to the south is a stunning vision of misty mountains, verdant valleys and silent settlements nestled in between. It’s not surprising that the owners selected such a glorious spot to enjoy with friends and family far and away from the hustle and bustle of city life. Built on several levels, the four-bedroomed Weir House compliments this rugged hillside setting. Polished cement floors, high timber ceilings and multiple sets of folding doors and French windows act to cool interior spaces that are typically more pleasant at this mid-hill country elevation of 1,900ft. A small staff team of four discreetly look after the house and meet your needs. Whilst the chef will indulge you with delicious breakfasts and three course dinners (included in the rate alongside unlimited tea, coffee and fruit juice), there is also a fully-equipped guest kitchen should you get the urge to cook something for yourself. Speakers built onto the walls of the dining room and front terrace heighten any mood, whilst a satellite TV and DVD player can be found in the spacious lounge. The Weir House celebrates escapism. If you’re looking for a secluded, stress-free environment then this is the place for you. 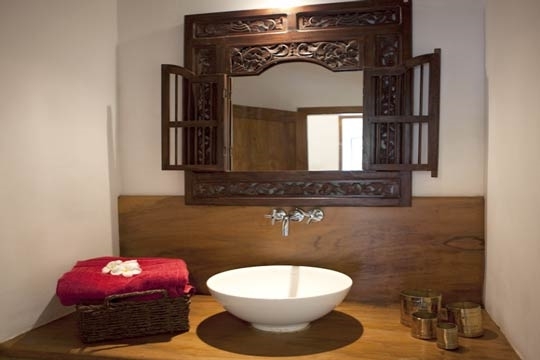 The Weir House celebrates escapism and from the moment we arrived we felt enveloped by the relaxing ambiance of the location and pampered by the small but able staff team who unobtrusively kept the house in order and prepared the most excellent meals for us. Because, breakfast and a three-course set dinner are included in the rate (as well as unlimited coffee, tea and fruit juice) we felt that it represented good value for money for couples and groups alike; especially since the villa rate varies according to the number of people staying. And lunch is only an extra $5 per person. The house itself is contemporary, minimal and although a little colourless, photographs of the owners and their book collection in the lounge did make it feel like a home. We loved the plunge pool. 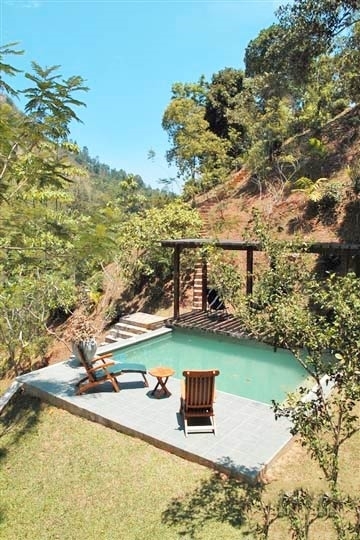 It might be small but it has a great location in the garden; we enjoyed lounging in the Jacuzzi whilst meditating over the mountain views which were at their best at sunset. Although the house doesn’t have internet (this is a place to get away from the world anyway), it does have satellite TV, a good music system, a DVD player and a few board games. There’s a children’s play area on a lower lawn and benches in hidden spots in the garden for reading and relaxing away from everyone else. 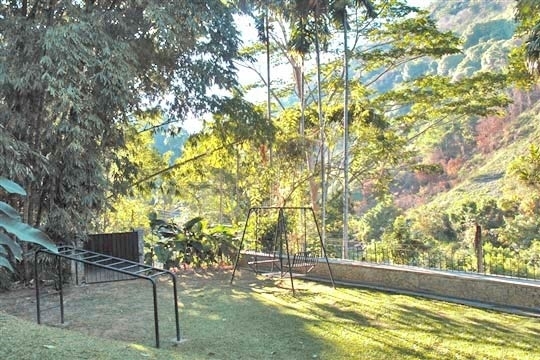 As there are a lot of steps and slopes we don’t recommend The Weir House for the elderly or disabled (for similar reasons the owners do not deem it suitable for children below six years old). 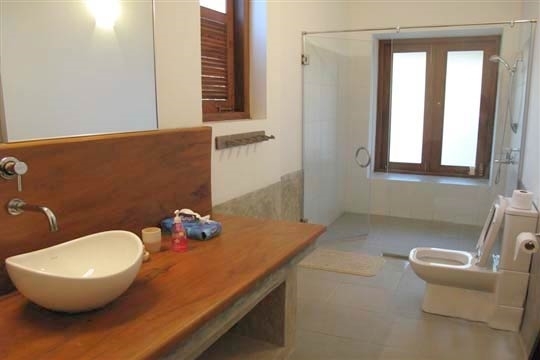 The villa has good eco-credentials: waste is recycled; showers are solar-heated; some of the fresh veg comes from its organic garden, and tap water comes from natural mountain springs. We loved the seclusion of The Weir House; lots of nature in the garden, stunning views and the chance to get out and explore add to the property’s charm. The staff also made our stay more pleasing and the chef’s cooking was a treat. The Weir House is a little remote – a car is vital if you want to go anywhere. Expect midges and mosquitoes, especially during the rainy season (May to June and October to November) and, at this elevation, you may also come across a few leeches if you happen to explore off the beaten track after heavy rain; using dettol spray (mixed with water) or citronella oil on your legs and footwear is a good deterrent. Watch out when walking on the rugs as they easily slip on the concrete floors. These same floors can also be treacherous when wet. 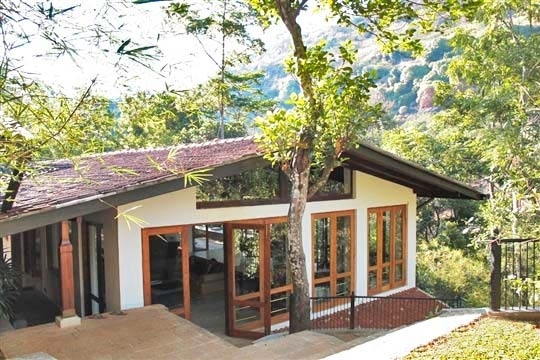 The Weir House is in the tiny rural village of Kandewatte, approximately 1.5km from Ulapane which is served by a train station, though there are few other facilities (such as restaurants) nearby. 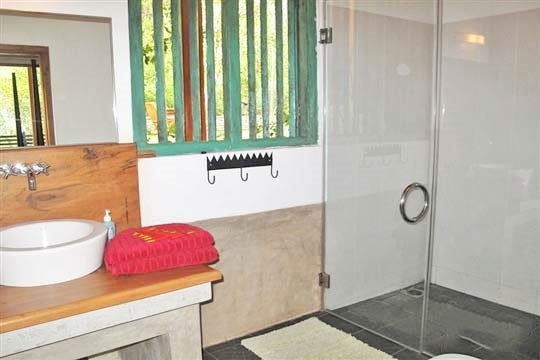 Situated on a verdant hillside, just a short walk up from the meandering Raja Ela stream in the deep valley below, the property is hidden from view by majestic stands of bamboo, fruit trees, clove groves and blossoming shrubs. 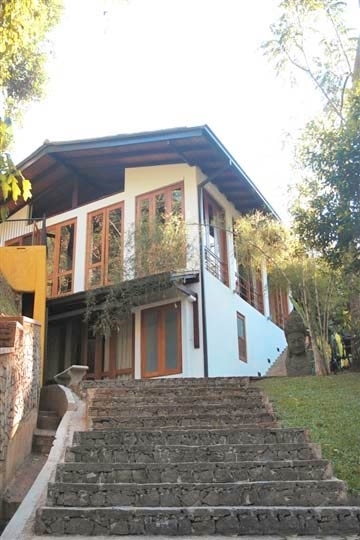 The closest towns to The Weir House are Gampola (11km) and Nawalapitiya (8km), both of which have fresh produce markets, banks and supermarkets. However, for a wider selection of goods it is best to head into Kandy (30km). Due to its easily defensible location amidst steep, jungle swathed hills, Kandy was the last Sinhalese kingdom to fall into the hands of the European colonialists. Also known as Maha Nuwara or the ‘Great City’, Kandy dates back to the fourteenth century and is often referred to as Sri Lanka’s cultural capital, its inhabitants proud of the city’s independent roots. Home to one of Asia’s most venerated Buddhist shrines, the Temple of the Tooth, which hosts the island’s most famous festival, the Kandy Perahera (annually in July or August) there are many other notable temples both in the city and hidden within its picturesque hinterland, such as Embekke, Lankatilake and Gadaladeniya near Gampola that make up the famous Three Temples Loop. At an altitude of more than 500m above sea level, the Kandy area has a distinctly cooler climate where frequent rain showers and hot sunshine result in a region bursting with colour; villages tucked on hillsides and between deep valleys are adorned with constantly blooming plants ranging from English roses to hibiscus and tropical bougainvillea. In Kandy itself there are a range of banks plus a selection of restaurants, the best of which are found in the city’s hotels. Many attractions are to be found in the countryside surrounding the town such as the lush Royal Botanical Gardens at the University town of Peradeniya on the banks of the Mahaweli River, Sri Lanka’s longest, as well as the Udawattekele Sanctuary and the Hantana Forest Reserve with its interesting Tea Museum. To the south of Kandy are acres of rolling tea fields and at Loolecandera you can visit the site of Ceylon’s first commercial tea plantation and the remains of the home of its pioneer, James Taylor. To the east of Kandy is the expansive Victoria Reservoir that along with the rugged Knuckles Mountain Range – one of the island’s last great wilderness areas popular for trekking and bird watching - provides an exceptional setting for the International Golf Course. 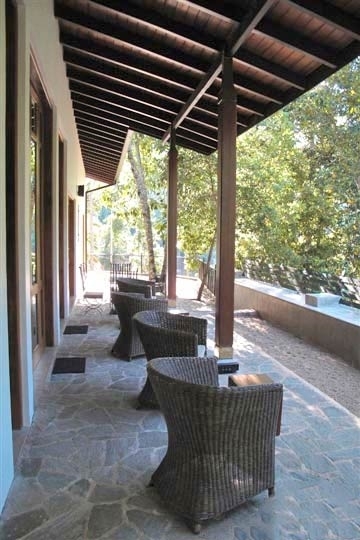 Kandy, the gateway to the Hill Country, is a wonderful place for enjoying the great outdoors! The Hill Country is one of Sri Lanka’s most dramatic regions famed for its soaring peaks, its panoramic views, its salubrious climate, its gushing waterfalls, its rich colonial architecture and its acres and acres of verdant green tea estates. Once cloaked in thick impenetrable jungle, the Hill Country was opened up by the British colonialists in the nineteenth century who were to first plant coffee, and then clear huge swathes of land to plant the much more successful crop of tea which remains one of the island’s top exports. 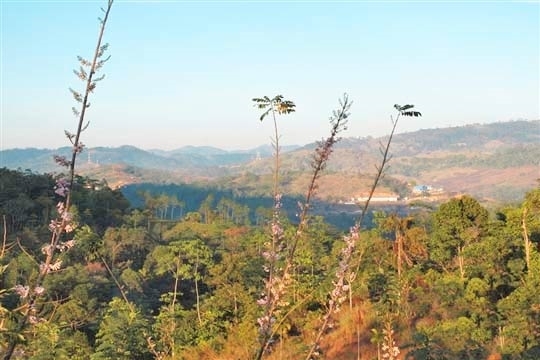 With an elevation ranging from 850m to 2,500m, the Hill Country is characterised by its climate; cooler and less humid than elsewhere, the region sees plenty of rain but is also bathed in a great deal of sunshine that keeps the spectacular scenery of the area so healthily lush and in bloom. Piduratangala (2,500m), Sri Lanka’s tallest mountain is located in the hill country however it is the island’s fifth largest peak that is most significant. Unusually venerated by devotees of the island’s four main religions – Christians, Buddhists, Hindus and Muslims – Adam’s Peak (2,240m) is a popular pilgrimage spot that’s traditionally climbed in the cooler early hours of the morning to arrive just in time for spectacular spiritual sunrises from its summit. Walking is a popular pastime throughout the hill country as the climate affords great potential; varied terrains, spectacular vistas, abundant wildlife and refreshing waterfalls are highlights of any exploratory hike in the hills. Traversing the seemingly Scottish landscape of Horton Plains is one of the most rewarding walks for its conclusion at the sheer drop of World’s End. Whilst roads wriggle their way up and around peaks, the best way to travel in the Hill Country is by train, even if you have nowhere special to go. The railway track, complete with numerous tunnels, bridges and loops is one of the most scenic in the world as it reaches spectacular viewpoints that roads simply cannot. A flight of stone steps lead up from the car park to the lower terrace of the villa where a giant bust of the Buddha protectively watches over whoever passes in and out. A fan-cooled family bedroom is located just off this terrace, featuring two double beds on very low timber platforms, a comfy sofa and an elongated ensuite bathroom with shower. As you ascend the next flight of steps, you come to the main terrace which overlooks the mountain opposite and runs the length of the house. 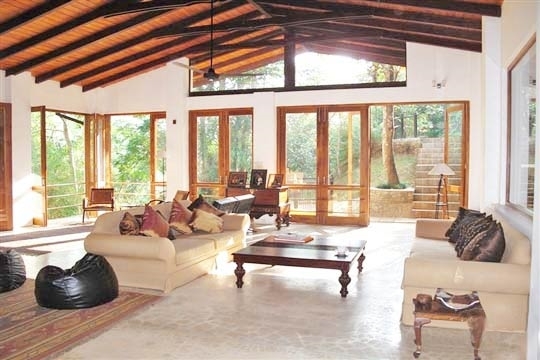 To the left of the entrance is a large lounge area with twin sofas, a swing seat, satellite TV and DVD player, a stereo system and a cabinet with a broad selection of books from historical Sri Lankan non-fiction to novels by authors ranging from JK Rowling to Charles Dickens. This room has a high timber ceiling with fans, and multiple sets of folding glass doors that open on two sides to the glorious views. 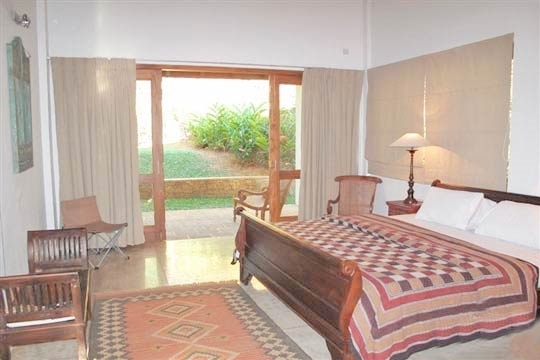 Also opening onto the front terrace are two similarly designed guest bedrooms with four-poster double beds, ceiling fans, wardrobes and ensuite bathrooms with shower. 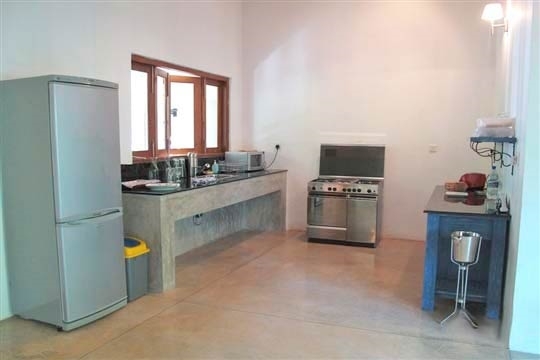 Between these two bedrooms and opening onto the front terrace and rear veranda, are the dining room (with table for eight) and pantry kitchen for guest use, featuring a gas oven, microwave, sink and large fridge freezer (there is a separate staff kitchen to the rear of the property). A square archway connects these rooms which are airy and light on account of the many tall folding doors that pleasantly open to the outdoors. Close to the lounge and up a small flight of steps is the master bedroom, which has its own terrace overlooking the garden. 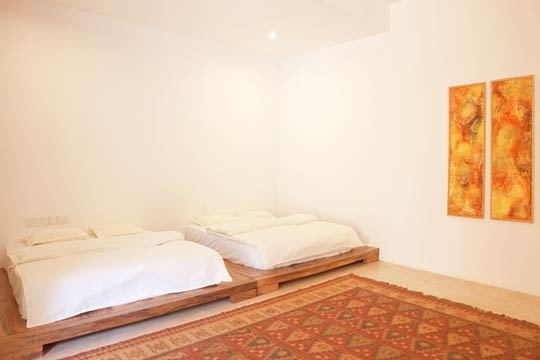 It is the most private bedroom of the four and has the quickest access across the lawn to the swimming pool. Here there’s a double bed, a ceiling fan and an ensuite bathroom with shower. 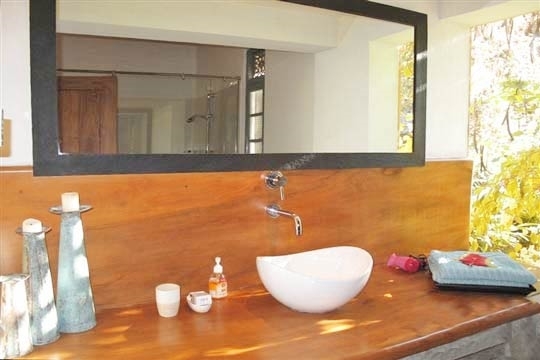 This hilltop hotel has a great ayurveda centre in a quiet and relaxed setting. You can enjoy body oil massages, steam baths, facials and wraps. From its privileged hilltop perch, Bahiravakanda’s white Buddha gazes protectively over the town. Wander up to this elevated position you can share in the city views. Local restaurant serving up short eats – meat and vegetable-filled rolls, savoury pastries and cakes – on the ground floor, and Sri Lankan cuisine (with North Indian and Chinese options) on the floor above. Service is quick (it gets busy) and food is relatively cheap. Situated 4km to the east of Kandy, this grand hotel within sight of the Mahaweli River has a well-run restaurant with both a la carte and buffet options, depending upon the guest capacity of the hotel. This five star hotel has a great spa where you can succumb to a number of treatments ranging from massages and body polishing to herbal baths and a steam room. Come here to browse a decent range of locally produced batiks. 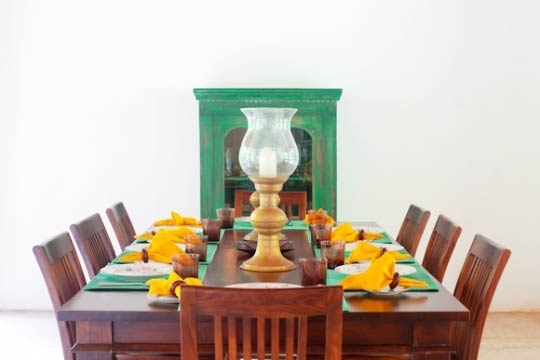 This is one of Sri Lanka’s most unique eating experiences: dine on international cuisine in an air-conditioned setting where colonial-era prints and photographs hug walls and a slide show of even more pictures is projected onto the wall. They serve wine here too. 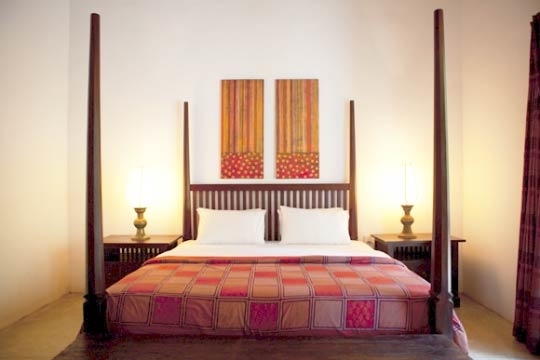 Although this beautifully sited hotel is 27km from Kandy, it’s useful for properties tucked to the north of the city and for visits to The Knuckles Mountains. The food is as delightful as the scenic hilly outlook. Modern city mall with a variety of shops including Mlesna Tea, a couple of bookshops, Stone N String (contemporary jewellers, www.stone-n-string.com) and a branch of the well-stocked Keells supermarket. There are also a number of banks with ATMs here. Although this cultural show is undeniably touristy, it offers the best glimpse into the dances, the costumes, the music and the traditions of Kandy. Shows feature consistent drumming and end with a daring feat of fire walking. This is perhaps the best place to pick up local arts and crafts; you can also watch local artisans at work. Government handicrafts emporium that sells a range of tourist related souvenirs; wood carvings, masks, lacquerware and basketry. 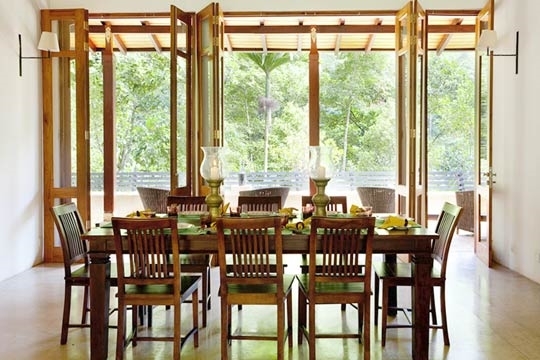 This five-star hotel (4km from the Kandy), has a wide ranging menu of western fusion cuisine with frequent buffets. The style is a little bit dated but the food’s good and the river outlook is very serene. Situated across from The Pub, here you can buy any number of teas – flavoured or plain – and pick from a range of tea-related memorabilia. This little restaurant situated in the heart of these famous botanical gardens offers the most serene setting in Kandy for relaxed daytime dining. The garden lawns are a great spot for picnicking too. Sri Lanka’s finest gardens cover 150 acres and are filled with an enormous variety of local and foreign tree and plant species. Top sights include the Royal Palm Avenue, the Orchid House, the Memorial Trees and the Bamboo Garden as well as the Java Fig that sprawls its boughs over a perfect-for-picnicking lawn. Guides tout their services at the garden entrance. Almost mid-way between Kandy and Nuwara Eliya (and just a few kilometres south of Pussellawa) are twin 100m waterfalls that plunge over jungle-clad cliffs. The Ramboda Falls Hotel, situated within view of the falls, has a restaurant that sells soft drinks, Sri Lankan food and some western dishes. This little shop sells a big variety of kolam (folk) masks as well as some fine Buddha and elephant carvings in sandalwood, teak and mahogany. For inexpensive authentic South Indian cuisine (without alcohol), this very local restaurant prettified by batik wall hangings is the go-to place. The lip-smacking menu includes thalis, dosas and idlis along with a selection of tasty meat and vegetable curries. Four Hindu gods traditionally protect Kandy, and each one of these is honoured with a shrine in the city. Three of these shrines - belonging to Pattini, Natha and Vishnu – are situated in front of the Temple of the Tooth, whilst the fourth – Kataragama – is found in the city centre itself. Address : Mahiyangana Rd, Hunasgiriya (27km east of Kandy). The rugged peaks of the wildlife-filled Knuckles are the hill country’s last great unspoilt wilderness; perfect for hiking and wildlife spotting. Guides are essential; ask the staff at your villa to arrange. Alternatively, drive up through Looloowatte village to Corbet’s Gap for stunning range panoramas. This Kandy institution boasts a first floor balcony that’s easily the best place to sit and watch the world go by. Afterwards, dine on pub-style international food indoors in air-conditioned coolness where premier league football and cricket matches are often shown on a big screen. Great if you’re feeling homesick. Sri Lanka’s most revered Buddhist shrine houses the legendary Buddha’s tooth over which is laid a pristine golden roof; a symbol of its importance. Guides hang around the entrance, and the best (though busiest) times to visit are for the pujas (ceremonial worship) held at 6am, 9am and 6.30pm where the doors to the room housing the tooth relic are opened briefly for public peeking. Other significant buildings part of the temple complex (once part of a sprawling Royal Palace) are the Sri Dalada Museum, the Audience Hall, the Raja Tusker Museum, the Archaeological Museum and the Kandy Garrison Cemetery. To the north east of town, this former royal reserve sprawls over a densely forest hillside. 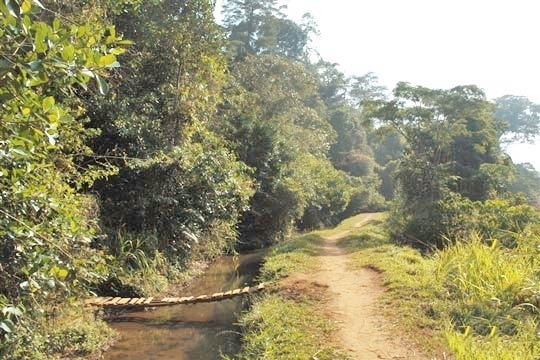 Pathways through the tree-filled sanctuary offer potential viewing of birdlife, monkeys, porcupines and wild pigs. Sri Lanka’s best situated golf course is set beside the Victoria Reservoir and in the shadow of the Knuckles Mountain Range. 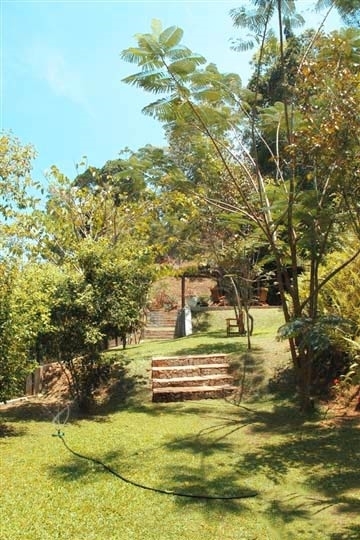 A little more than 20km to the east of Kandy, green fees start at US$35 a day. Here you can also horse ride too. Search out English novels amongst a number of Sri Lankan books at this city centre bookshop. Also sells local magazines (mainly), stationery and maps. There’s a branch also in the Kandy City Centre (mall). 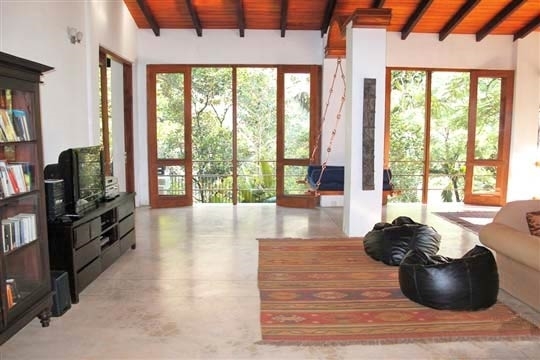 4 bedroom villa located in Kandy Region, Hill Country. Ideal for Bring the relatives, Fair share for groups, The great outdoors, Room with a view.